Full Service Home Inspections, LLC Summerville, SC. 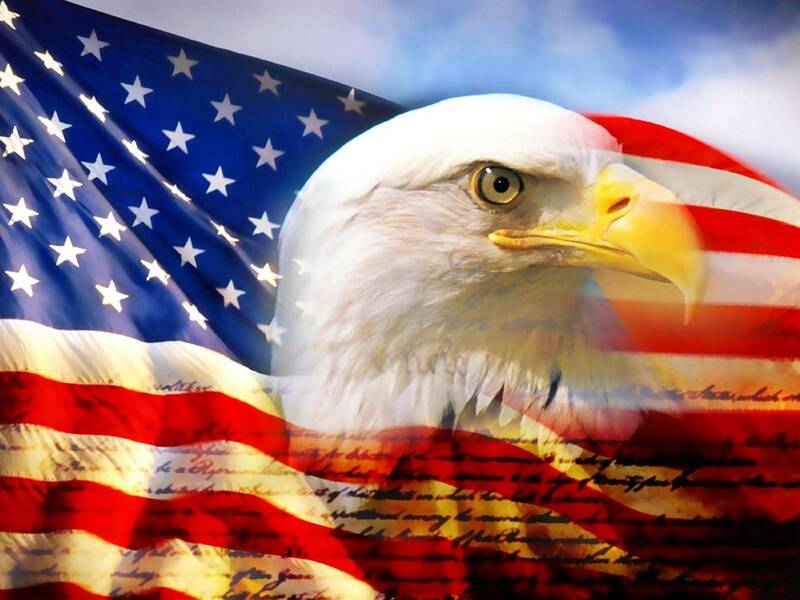 Jeff Bennett is proud to have reached over 150 Five Star Reviews on Google! Ask us about purchasing an inexpensive 90 Day home warranty that kicks in on the day of the inspection as well as Lead Testing for homes 1978 or older. 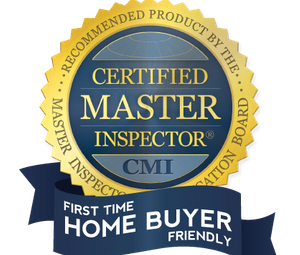 Jeff Bennett, CMI®, Certified Master Inspector & ASHI Certified Inspector, is the Owner and Sole Inspector at Full Service Home Inspections, Summerville, SC. Jeff has completed over 2600 inspections in the low country and has the necessary requirements and credentials earning him a board member spot as a Certified Master Inspector. The highest available title that a Home Inspector can hold. 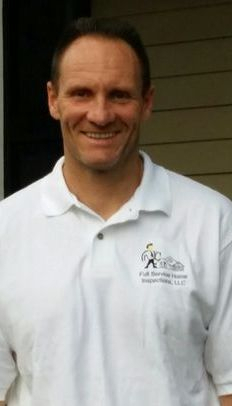 He provides incredibly detailed home inspections, Pre Drywall and New Construction Home Inspections and Commercial Inspections in the entire Charleston, SC area with the exception of Holly Hill, Bowman, Bonneau, Kiawah Island and Eutawville area. *Our fees are not estimates and not priced based on footprint or covered areas. The fee includes all covered/uncovered porch, deck areas and garage areas with the exception of out buildings (extra fee). We are not franchised, Jeff is the sole inspector & owner. While many inspectors do not inspect the electrical panel, Jeff absolutely does!" Jeff takes an incredible amount of pictures. 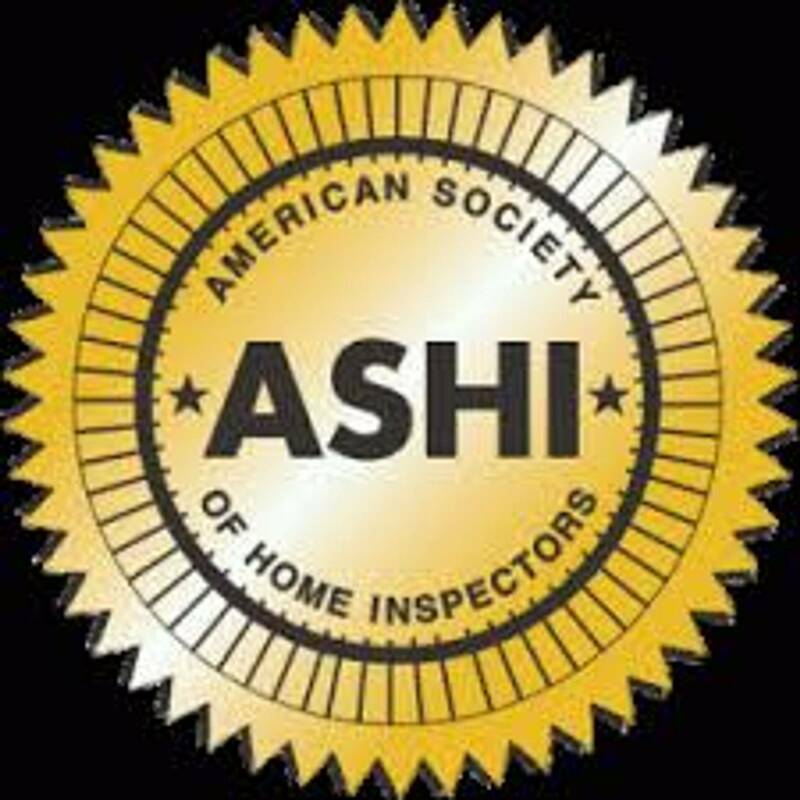 Only an ASHI Certified Inspector can display a Gold ASHI Logo. An ASHI Certified inspector will provide a professional, personalized inspection that combines more than 40 years of the highest technical standards, adherence to a strict code of ethics and the very best in customer service. Jeff has passed the most rigorous technical examinations in effect today and has completed over 2500 inspections the Charleston, SC area to date. Ask about Termite Inspections, Lead inspections (homes older than 1978) and our 90 days home warranty (add ons). Jeff provides an extremely detailed report using Homegauge software, the preferred reporting software available to Home Inspectors. The report includes a tremendous amount of pictures in one, easy to read report. You and your agent can prepare your REPAIR ADDENDUM directly from this report and forward it your seller's agent or builder in minutes. It is that easy! "The most frequently cited Home inspection deficiencies are related to electrical. Many inspectors do not open or inspect the electrical panel. This is a very important part of the home inspection!" NEW CONSTRUCTION INSPECTIONS, DO NOT CLOSE WITHOUT ONE! Jeff Bennett abides by a strict ASHI Code of Ethics and the industry's most comprehensive ASHI Standards of Practice. Jeff educates his clients during the home inspection, so whether you are a buyer, seller, or a current homeowner you will receive an unbiased opinion regarding the condition of the property. Full Service Home Inspections will provide you with information so you can have Peace of Mind. Please read our reviews below, on our review page, Facebook and Google! How does Full Service Home Inspections stand out from the rest? First, Jeff Bennett has completed over 2500 home inspections and is a Board Certified Master Inspector (the highest level that a home inspector can achieve) as well as a Certified ASHI Inspector. Jeff abides by these organization's strict code of ethics. He also has completed his training and testing with Inspection Certification Associates. He not only has a construction background, but he has 10 years as a Director of Safety. He places a huge emphasis on Safety! He also spends a lot of time in the Crawlspaces & Attics where many home inspectors may not concentrate on these areas, enter briefly or not at all, Jeff feel these are the two areas that problems can hide and go undetected. Second, Jeff is the owner and a full time home inspector and is available to work around your busy schedule, including early evening & weekends. Check our Attic & Crawl Space inspection pages. Extensive ATTIC inspections & Crawl Space Inspections. Attics are important, though often overlooked in a home inspection. It is not unusual for a homeowner to have never entered their own attic. Attics can hide a lot of problems-from mold and insulation problems to electrical and fire concerns. Your roof should be inspected from the inside for leakage or past water damage. Insulation and proper attic ventilation will minimize moisture concerns, like mold from condensation, by maintaining a more constant temperature in the attic. Moisture Readings and infrared are performed in any areas that water intrusion is suspect such as attic, walls, under sinks, windows & floors, crawl spaces etc. Immediate Home Gauge Reports with many pictures. Weekend appointments available- Affordable and our price includes garage and deck areas. NO HIDDEN CHARGES. Full Service Home Inspections of Summerville, SC provides home inspections in Goose Creek, SC, Charleston, SC, Ladson, Moncks Corner, SC, Sullivans Island, SC, James Island, SC, John's Island, SC, Daniel's Island, SC, Mt. Pleasant, SC, Isle of Palms, SC, and surrounding areas. Trust us, You will get your money's worth! Jeff Bennett, Home Inspector, educate's his clients during the home inspection, so whether you are a buyer, seller, or a current homeowner you will receive an unbiased opinion regarding the condition of the property. Jeff has completed some of the industry’s most comprehensive training programs by ASHI, Residential and Commercial. 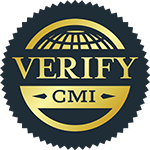 He takes pride in the fact that he has achieved the certification designations as well as so many reviews from satisfied clients and this sets him apart from many others. Full Service Home Inspections will provide you with information so you can have Peace of Mind. *Our fees are not estimates and not priced based on footprint or covered areas. The fee includes all porch, deck areas and garage areas with the exception of out buildings. Jeff does not use drones for the roof or the crawlspace inspections. While many inspectors do not inspect the electrical panel, Jeff absolutely does!" The standard home inspection report will cover the condition of the home’s heating system inspection; HVAC inspection (temperature permitting); interior plumbing inspection and electrical system inspection; we provide a detailed roof inspection (no drones) and attic inspection and visible insulation; walls, ceilings, floors, windows and doors; the foundation, basement and structural components. Jeff will enter into most tight crawl spaces where a lot of others may not fit, giving an even more complete inspection. The most frequently cited Home inspection deficiencies are related to electrical. Some inspectors do not open or inspect the electrical panel. Jeff Bennett will! Whether it’s your first home or if you are preparing to sell, at Full Service Home Inspections, Jeff conduct reliable, timely and thorough home inspections. We are focused on providing our customers with high quality, efficient and trustworthy home inspections. Full Service Home Inspections offers affordable, quality home inspection reports with a tremendous amount of photos documenting all areas of concern. Reports are generated through HomeGauge and delivered to you within the same day of the home inspection. Full Service Home Inspection of Summerville, SC. Provides Home Inspections for Dorchester, Berkeley and Charleston county as well as surrounding counties. © 2019 Full Service Home Inspections of Summerville, LLC Summerville, SC 29483 . All Rights Reserved.